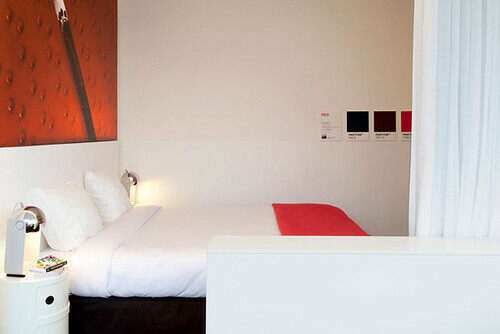 A couple years ago I went to Amsterdam on vacation with my hubby-to-be and stayed at the amazing Citizen M hotel, which is chock full of cutting edge technology (the whole room was controlled by remote!) and great design. 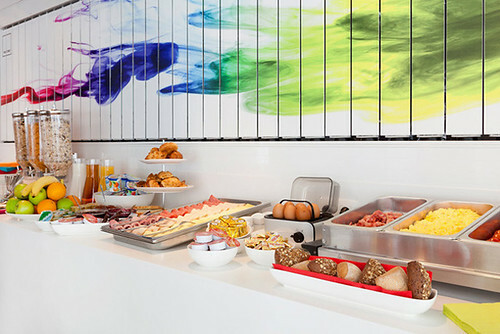 Ever since that trip I have vowed to try to stay in cool hotels wherever possible. 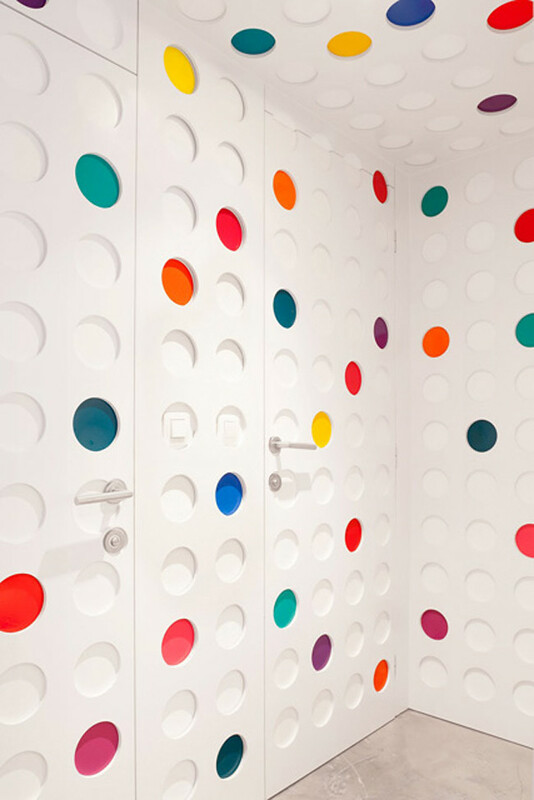 It looks like if I ever make it to Brussels I am going to have to add this hotel to my list: The Pantone Hotel! 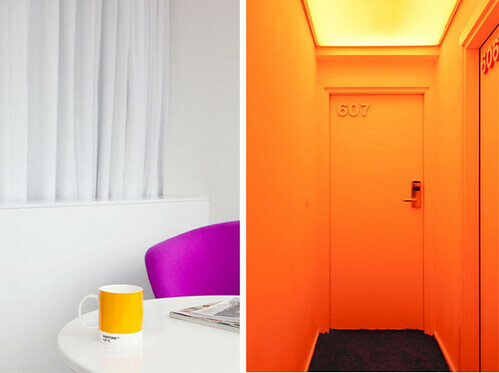 Everything is designed with the Pantone color system in mind, making for a hotel decorated with bright beautiful color everywhere you look. 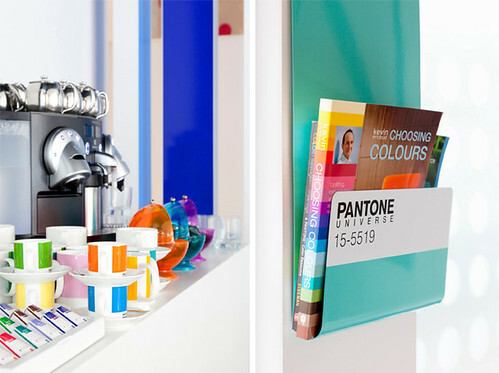 Not surprisingly, this super cool place was recommended by plenty of colour (posted about here!). You can find a lot more details about the building over there. That hotel looks very pretty and unique. 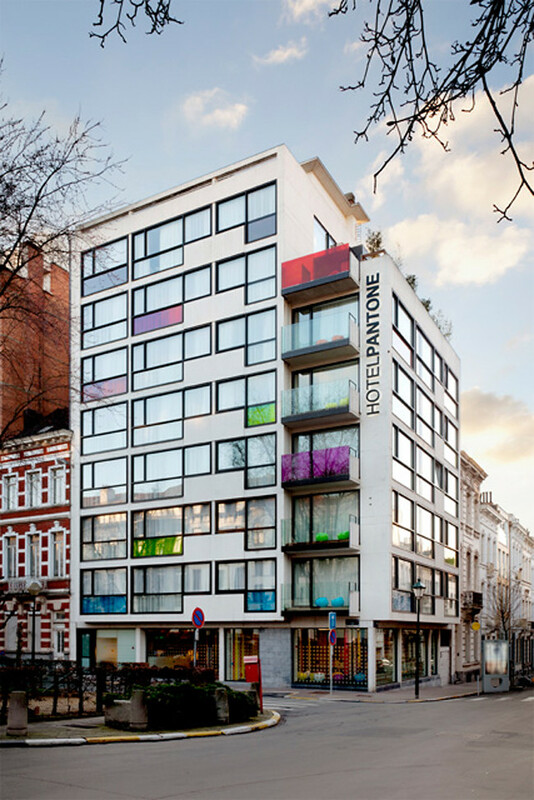 It would be interesting to stay in this Pantone Hotel when you are traveling in Brussels. It does look like a big art set.